Gov. 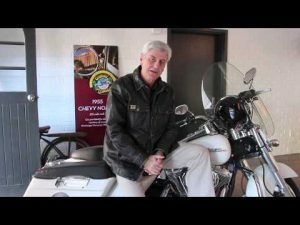 Phil Bryant led a convoy of more than 50 riders on Harley Davidson motorcycles Friday to kick off the 12th annual Trail of Honor in Jackson. Mississippi Gov. Phil Bryant climbed on the back of a Hog Friday morning to celebrate the sacrifice of America’s veterans. But it wasn’t a boar or Razorback. Instead, Bryant led a convoy of more than 50 riders on Harley Davidson motorcycles Friday to kick off the 12th annual Trail of Honor in Jackson. Bryant and veterans spoke to large audiences outside the G.V. “Sonny” Montgomery Veterans Affairs Center in Jackson and on a trail behind the city’s Harley Davidson dealership on I-55. Like so many Mississippians, Bryant’s family tree branches out with veterans long gone. To connect with living veterans, Bryant started attending the Trail of Honor a decade ago. A Who’s Who of American military veterans who served during World War II and the Vietnam War came to Jackson Friday on their motorcycles to participate in the Trail of Honor. Friday’s event also served as a recognition ceremony for Mississippi’s Vietnam Veterans with Bryant and VA Center director Joe Battle presenting commemorative pins to veterans at the hospital. Vietnam veteran Charles Branch, 65, of Jackson, served in the U.S. Army in the late ’60s during the war and hasn’t seen the Trail of Honor. The Trail of Honor has been named a Top 20 event by the Southeast Tourism Society. The trail began in 2003 as a way to welcome the Run for the Wall riders and to honor Mississippi veterans. What started with a single Civil War cannon has grown into an event staffed by more than 300 living historians and volunteers, attracting more than 30,000 visitors in 2013. 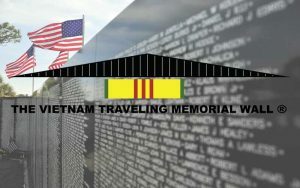 Visitors also can see the Vietnam Traveling Memorial Wall. It is a replica of the Vietnam Memorial in Washington, D.C. It stands six feet tall at the center and stretches almost 300 feet. This will be the seventh year of the memorial as a prominent fixture on the Trail of Honor. Lt. Tommy Norris, a retired FBI agent and Navy SEAL awarded the Medal of Honor for his service in Vietnam, thinks of fallen comrades every time he looks at the memorial wall. “For me, it’s just an incredible thing to see that we still have folks that are out there who honor our veterans,” Norris said. Gary Wetzel, of Wisconsin, a Vietnam veteran and Medal of Honor recipient, is enjoying his sixth visit to the trail. “We see those American flags and look at this wall and realize there is a price for freedom,” Wetzel said.